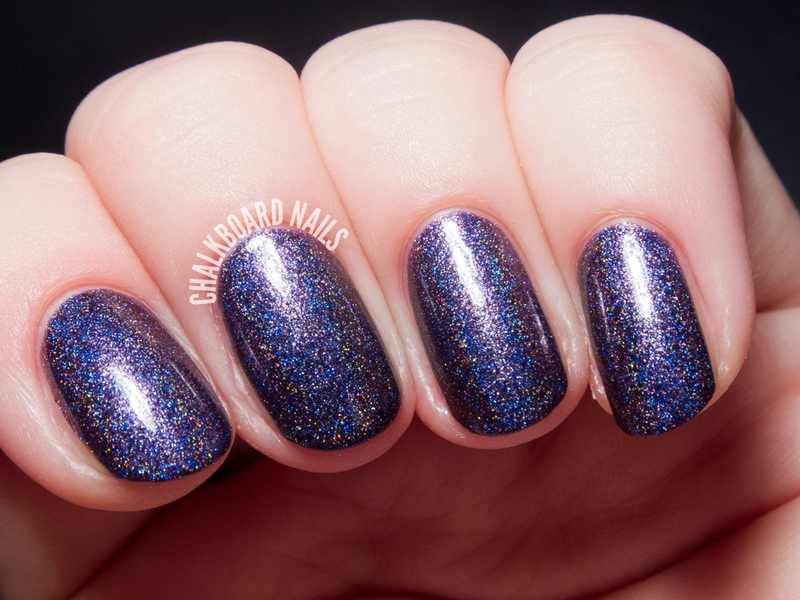 Hat Trick is a multichrome holographic that shifts from a pink-rose to copper to green. I've chosen to layer my swatch over black, because that's how I would wear it out into the world. 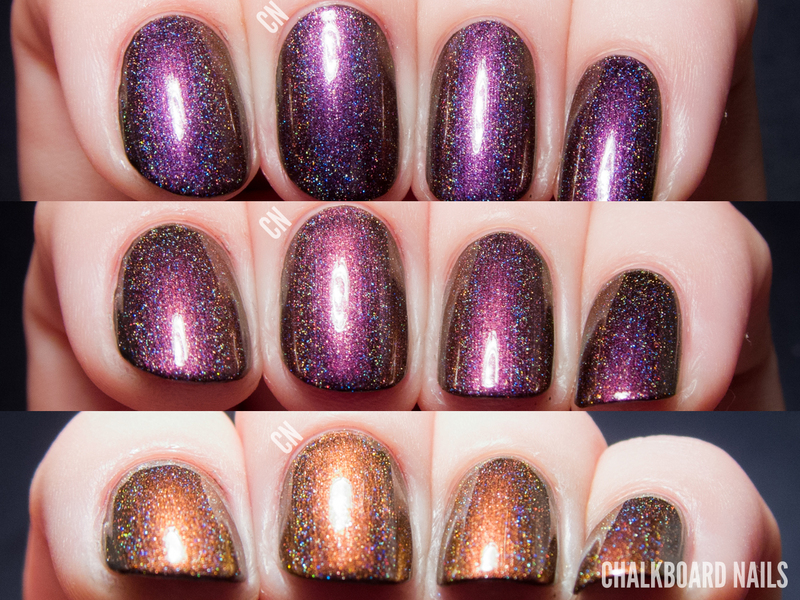 The Thing You Love Most is a multichrome holographic that shifts from violet to pink to orange. Again, I've layered one coat over black for my swatches to amp up the multichromatic effect. 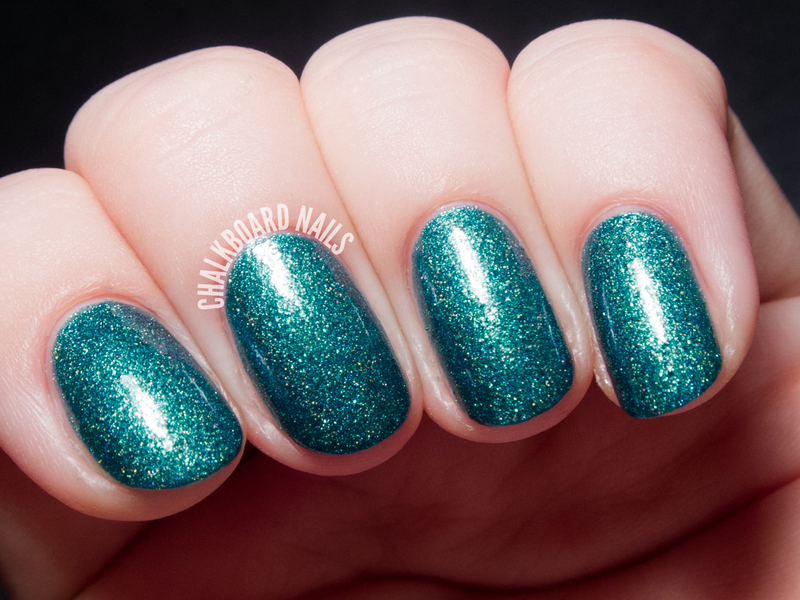 A Land Without Magic is a teal-leaning emerald green holographic with iridescent microglitter and shimmer. I used two coats. 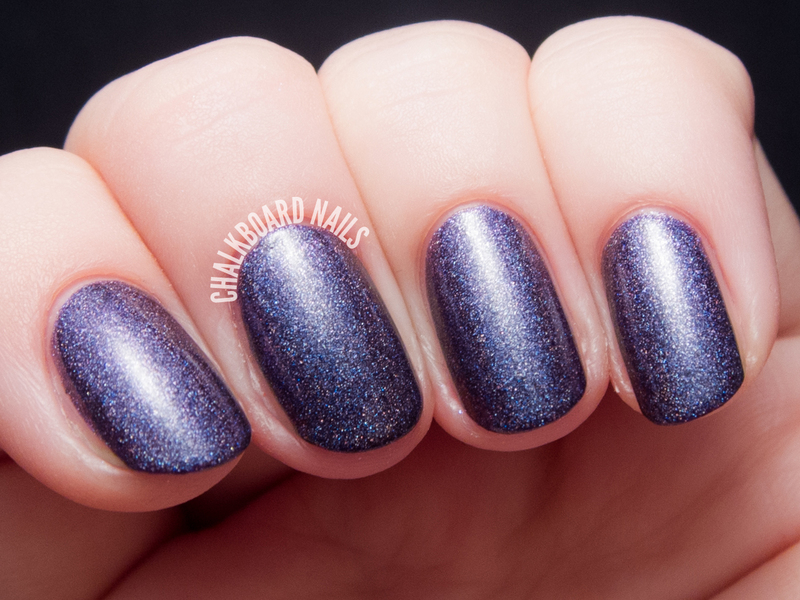 Desperate Souls is a deep, blackened purple with a holographic finish. It has a pretty green shimmer to it that shifts to a warm pink when seen at an angle, though unfortunately I had a tough time capturing it in my photos. Two coats. 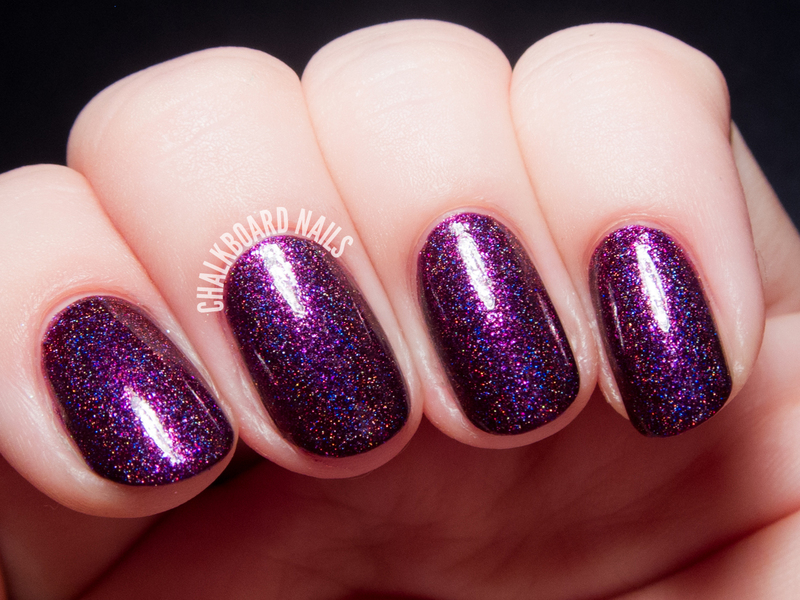 Fruit of the Poisonous Tree is a deep, plum colored holographic with a magenta shimmer to it. 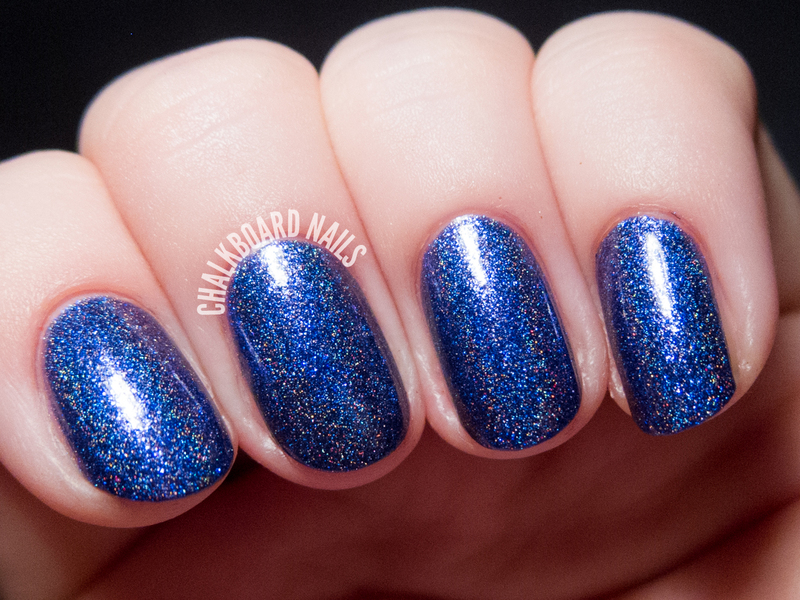 This is by far and away my favorite of the shades I received to swatch, which is not to say the others were bad! This one is just that good. It's fully gorgeous and luxe. Two coats. Second Star to the Right is an indigo holographic with blue glass flecks (I called them "sparks" in my notes) that shift to pink/violet. It leans more purple in person; my second photo is most accurate. Two coats. So, what do you think? My top picks are Fruit of the Poisonous Tree, A Land Without Magic, and Hat Trick. All of the shades had great formulas, and dazzled with their complex finishes. No duds here, it all comes down to your personal color preference. 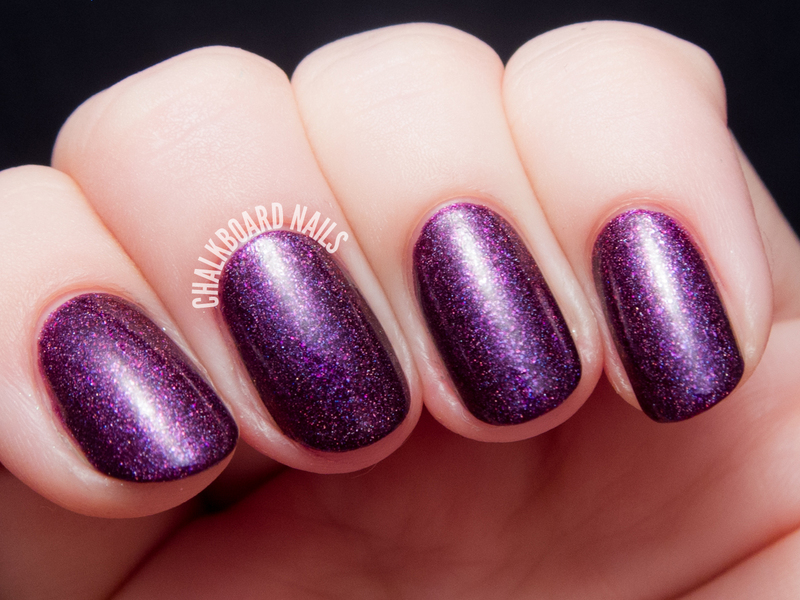 The Welcome to Storybrooke collection is available now from www.glampolish.com.au. 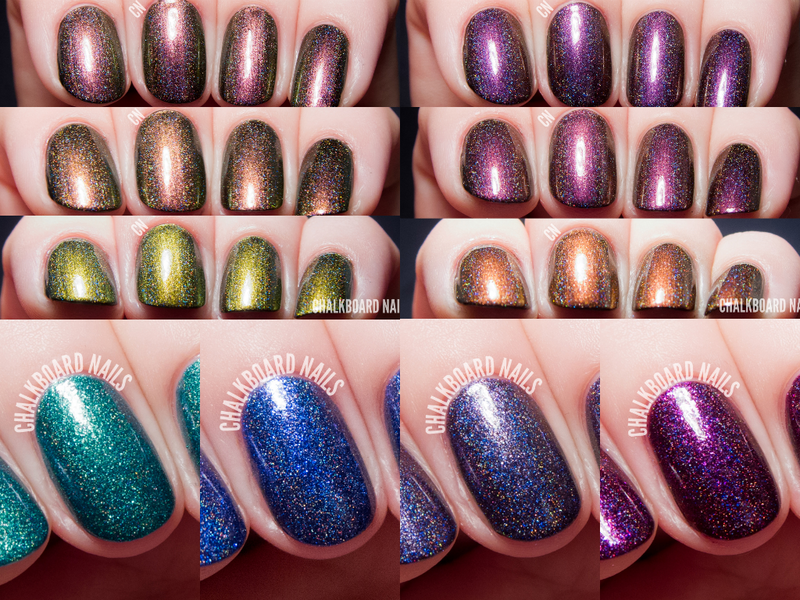 Shipping rates to the USA are $7.95 for the first polish and $1.00 for each additional polish. Kind of loving all of these because of 1. they're beautiful! and 2. Once Upon a Time collection = no brainer. These are just stunning! I want all the shades from looking at your swatches. I love these! Once Upon A Time is my favorite show. I'm also crazy about fairy tales and Disney. My favorites are Fruit of the Poisonous Tree, Desperate Souls, and Second Star to the Right. They are stunning! I really like the show and these polishes looks great! 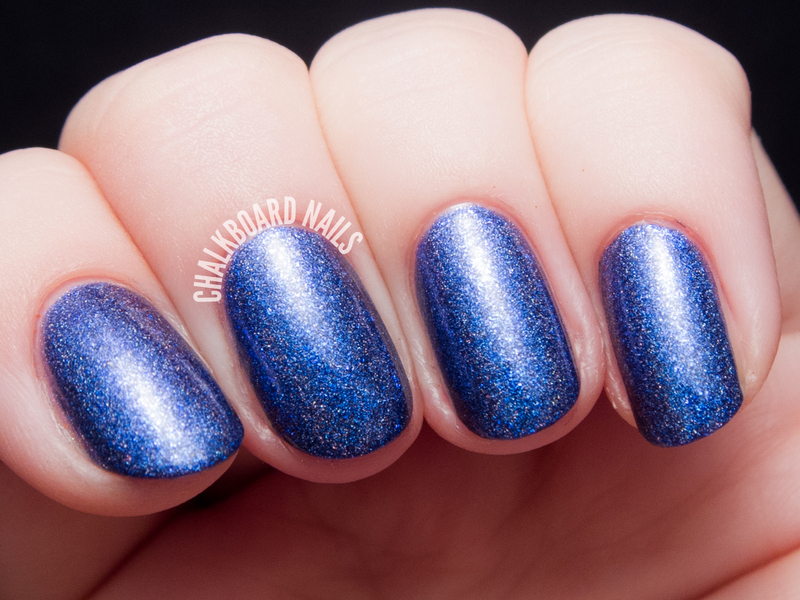 Wow, Glam Polish can do no wrong it seems! Love them all! A Land Without Magic stands out for me - beautiful! Fruit of the poisonous tree is my fav!! The multichrome pictures are amazing, love that you captured the various colors!